March 15, 2019 | Dublin, Ireland / Mountain View, California. Think Global Forum Awards have announced this year’s shortlisted applicants. The judging panel – made up of leading professionals from a broad array of industries – carried out a meticulous review of every entry across 12 award categories and has presented their findings to the award committee. The importance of connecting with a global audience effectively and efficiently is critical in today’s marketplace. The awards are a way to recognize achievements in this area and to promote the awareness of thinking globally for individuals, communities, start-ups, small and medium sized businesses, global brands and large-scale international organizations. All categories and shortlisted applicants are listed below. Congratulations to all shortlisted companies and individuals! The winners will be announced at this year’s ceremonies, hosted at the Gibson Hotel in Dublin, Ireland and the Rosewood Sandhill Hotel in Menlo Park, California, USA, on April 3, 2019. Simon Hodgkins, Founder, Think Global Forum. “Firstly, let me start with a big thank you. Thank you to everybody who has taken the time to submit an entry to this year’s Think Global Awards. We are absolutely delighted with the amount of responses and interest that you have shown in this years awards program. The awards this year cover everything from brand and advertising to thinking globally and also cover a number of industry sectors. We have a brand of the year award, a community award, an advertising award, a language industry person of the year award. We focus on localization, companies that are going global and also for the first time this year we have a dedicated startup award. Our industry sectors cover technology, travel, life sciences, retail, e-commerce, manufacturing, and the awards submissions are truly outstanding this year. We have people from all over the world, individuals, companies, global brands, small startups and some really fascinating submissions for the various awards categories. 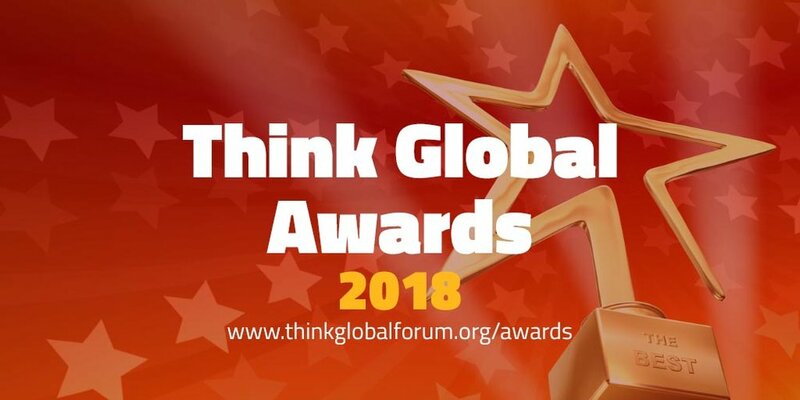 The winners of the Think Global Forum Awards were announced during an awards event hosted on Wednesday, 31 January 2018 in Dublin, Ireland. The award categories were extremely competitively fought. We have seen outstanding submissions and interest in the awards. All of the winners have demonstrated that they are amongst the best in their respective areas.